With the demolition of the elevated Central Artery, over two miles of new boulevards have been built, linking five of Boston’s most historic and distinctive neighborhoods in the heart of the city. 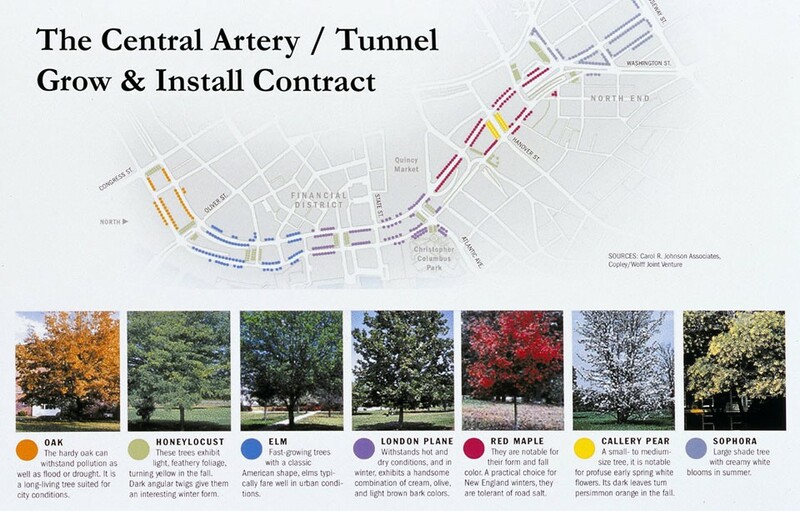 As subconsultant to the Central Artery/Tunnel Project’s Management Consultant, CRJA-IBI Group developed design guidelines and preliminary designs for all the new downtown streets. 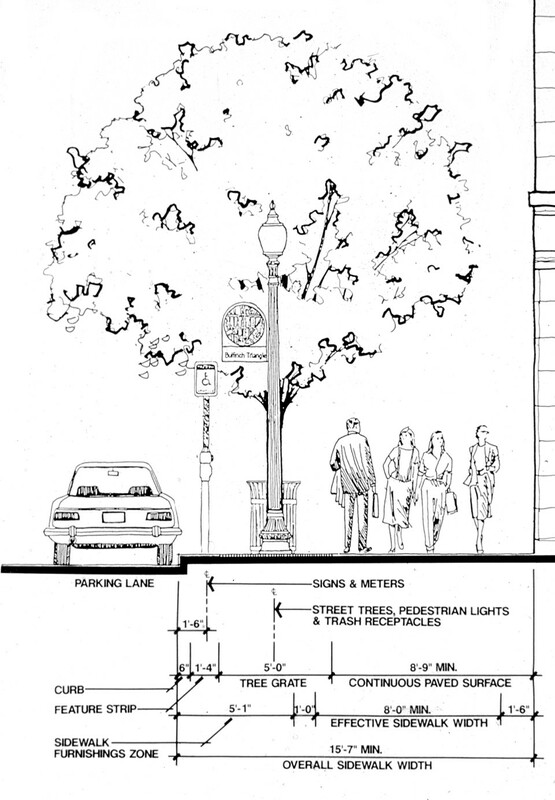 The designs called for over 850 new street trees, sidewalk widths of up to sixteen feet to accommodate pedestrians, and careful design of each street intersection to minimize pedestrian-vehicular conflicts. 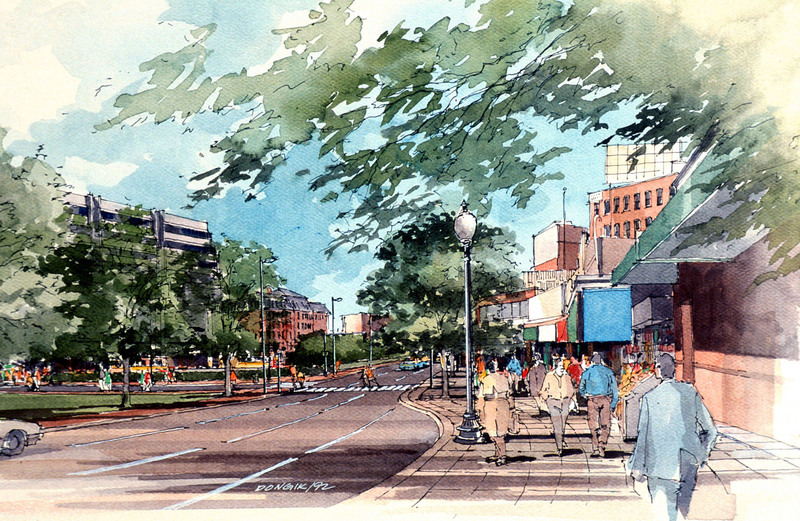 The design process included a number of public input meetings. The Pedestrian Issues Forum and Surface Transportation Action Forum were conducted to gain broad consensus on how to make the new streetscape as functional and pedestrian-friendly as possible. 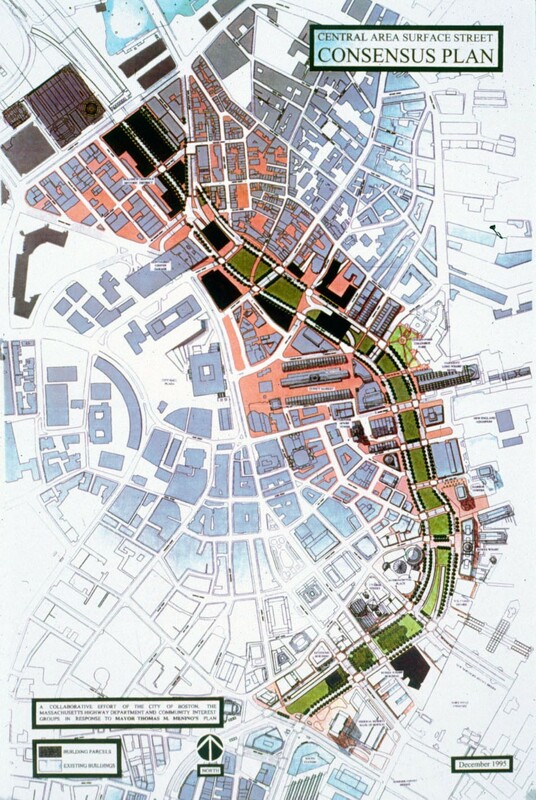 These workshops involved neighborhood residents, property owners, area businesses, city and state officials, and advocacy groups in a process that identified competing design objectives so as to evaluate trade-offs among various options. CRJA-IBI Group has received awards from MOVE Massachusetts 2000 and the International Downtown Association in recognition of the effectiveness of this approach to public design process.